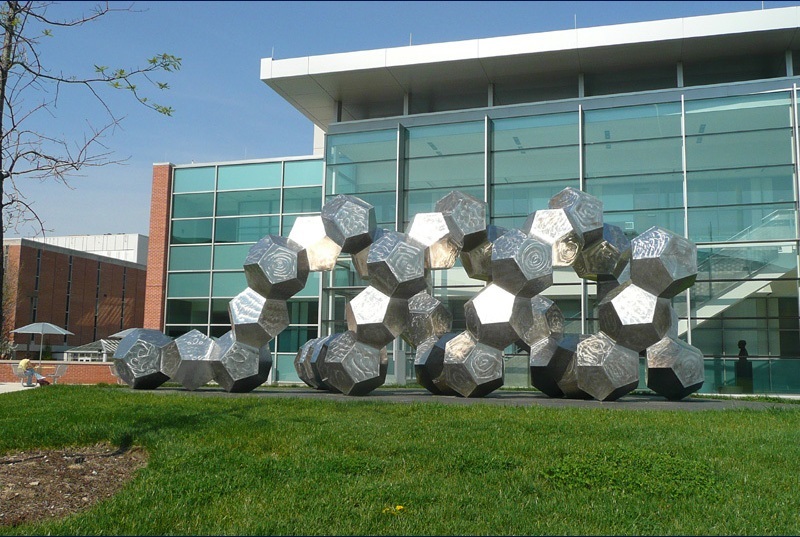 Double Helix is an abstract sculpture on the campus of Wright State University. it is located in front of The Mathew O. Diggs III Laboratory for Life Science Research. 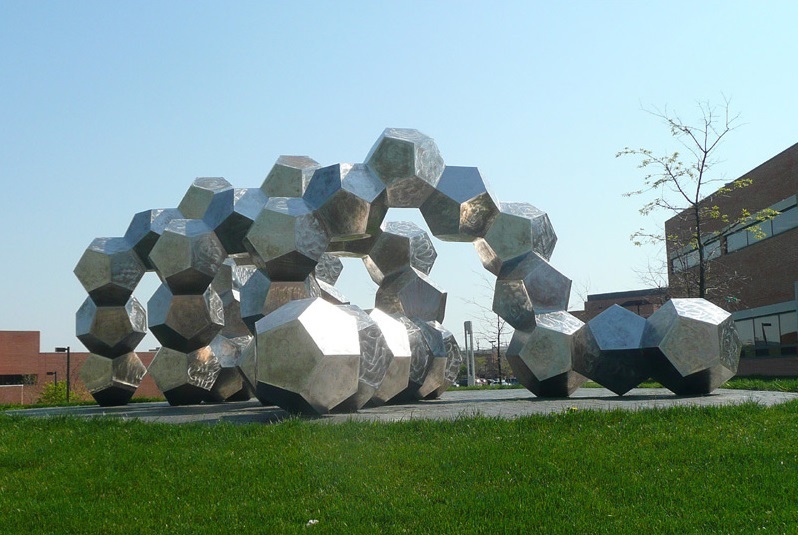 The sculpture is a series of polished metal dodecahedrons arranged like a spiraling helix of a DNA molecule. The spiral is 8 feet wide, 8 feet high and 25 feet long. Location: Diggs Life Science Lab, Wright State Univ., Center Park Blvd. 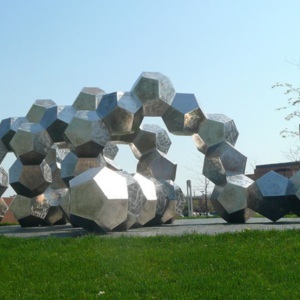 : Jon Barlow Hudson, “Double Helix,” Ohio Outdoor Sculpture Inventory, accessed April 20, 2019, http://oosi.sculpturecenter.org/items/show/1506. Diggs Life Science Lab, Wright State Univ.